More clean for your money. More than 30,000 businesses across North America have already discovered why Swisher is the most trusted name in the industry. Contact us today to find out how we can give your business the same proven, affordable and convenient service experience. 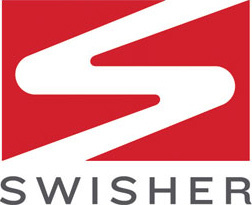 There’s a reason why Swisher Hygiene is the most respected name in the hygiene services industry: we invented it. We started back in 1986 with the conviction that business people would welcome the opportunity to have their facilities maintained by a true hygiene specialist, and the response has been overwhelming. It’s not surprising. Matters of hygiene are too important to be left to anyone but an expert. Businesses that require their employees to maintain their facilities get the level of service they pay for. And those who count on conglomerates that try to be everything to everyone too often wind up with superficial work at best. At Swisher Hygiene, we concentrate on one thing and one thing only: commercial hygiene. It starts with the weekly restroom service that we’re famous for, using proprietary products and specialized procedures to ensure that our customers’ restrooms receive a level of attention that others simply can’t match.